Emergency and breakdown recovery services have voiced major concerns about the safety of ‘all-lane running’ if it is to be rolled out across the UK’s major roads network. 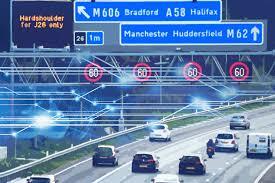 The concept for all-lane running, where the hard shoulder is also used, was originally piloted on a stretch of the M42, and ‘smart’ sections of motorway can now be found on the M1, M4, M5, M6 and M25 (see panel, below). All new sections of smart motorway are expected to be based on the all-lane-running configuration. MPs launched an inquiry into all-lane running in November 2015 to evaluate its effectiveness in managing capacity and congestion, and its impact on road safety. Simon Wickenden, Metropolitan Police Service traffic management officer, told the Transport Committee evidence session on April 18 the risk of collision for a stationary vehicle that has broken down on an all-lane running motorway increases by 200%. Wickenden gave an example of a recent fatality in March after a vehicle broke down on the all-lane running section of the M25. The incident is still under investigation by Essex Police, but the car is believed to have run out of fuel in an unlit section of the motorway and a lorry collided with the vehicle, killing the rear passenger and seriously injuring the other two occupants in the car. Wickenden said there have been 3,700 breakdowns on the all-lane running section between J23-J27 of the M25 in the past 12 months. Both the RAC and The AA, who also gave evidence at the committee meeting, raised concerns on the lack of understanding from drivers about adhering to the ‘red X’ sign, general understanding of how smart motorways work and the distance between emergency refuge areas (ERA). Edmund King, AA president, called for the amount of ERAs to be doubled on any stretch of all-lane running motorway and for each ERA to be doubled in length from 30 to 60 metres. The current distance between ERAs on all-lane running is 1.55 miles. King said he doesn’t feel there has been “adequate consultation” on all-lane running for it to be rolled out on a wider basis. He said: “The lack of ERAs creates an issue where some truck drivers are taking tachograph breaks there and one truck takes up the entire space. David Bizley, RAC chief engineer, said there is a problem with drivers’ adherence to use of the red X over the carriageway and more needs to be done with education and enforcement. The breakdown services’ current policy is not to attend a broken down vehicle on an all-lane running motorway as it is deemed as too high a risk for their recovery teams. This means vehicles have to call 999 for aid and a recovery vehicle can attend if the lane has been closed and access is safe. 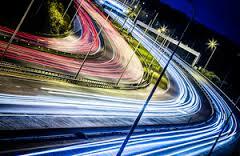 All-lane running motorways have variable speed limits, no hard shoulder, and emergency refuge areas every 1.5 miles. 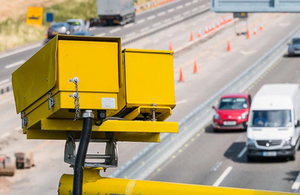 Highways England uses CCTV cameras and variable message signs to manage smart motorways. Depending on the type of motorway, speed restrictions can be set and lanes closed in the event of an incident or congestion. Information signs are used to warn drivers about queuing traffic and speed limits as well as being used to close lanes and divert traffic. The red X sign is used to show when a lane is closed due to an incident or obstruction. If a red X is displayed drivers must not proceed further in the lane indicated. How will the new Birmingham clean air charge effect your pocket? Average speed camera limits relaxed and roadworks 10 miles max! Run Your Fleet is a trading name of Multifleet Vehicle Management Ltd, part of the Forward Group PLC's portfolio of businesses - a UK based private equity fund. It is this purchasing scale that enables us to deliver a significant range of benefits to fleets of all sizes through the Run Your Fleet brand.